Stanford Business Books, 9780804778237, 204pp. Listen to people in every field and you'll hear a call for more sophisticated leadership--for leaders who can solve more complex problems than the human race has ever faced. But these leaders won't simply come to the fore; we have to develop them, and we must cultivate them as quickly as is humanly possible. Changing on the Job is a means to this end. "What are the three hardest things in the world to do? How about: 1) transform the culture you're part of; 2) transform a meeting or conversation you're in; and 3) transform your own mind? Want to learn how? 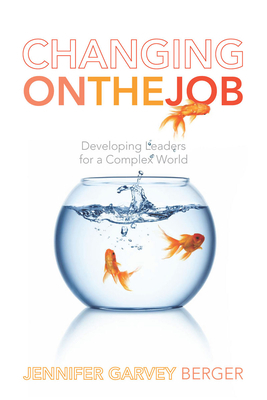 A great way to begin is to read Jennifer Garvey Berger's Changing on the Job and begin looking at your own work/life through the lenses she provides. "—Bill Torbert, Boston College Leadership Professor Emeritus and Director of Research, Harthill Consulting Ltd.